Has Sony created problems for itself with the A7 and A7r? The last decade was tough for Sony. Their strengths in TVs, video games and music players were overtaken by other companies. They’re no longer the dominant force in consumer electronics. Fortunately, in cameras, Sony is doing what it does best, they push the technology envelope. I see innovation and risk taking that’s made me a fan since their first Trinitron TVs. With the release of the A7 and A7r cameras however, I fear it may work against them. Consider NEX, which was rebranded into the Alpha line. Sony’s mirrorless system still trails micro 4/3 in lens selection. With the release of the full frame A7, I’m concerned about their commitment to APS-C sized sensor. 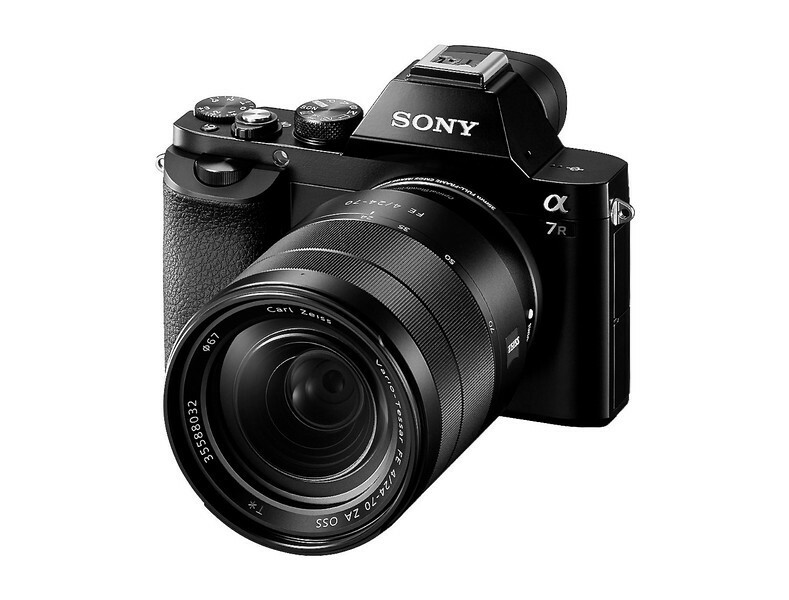 Or even if APS-C isn’t going away, the A7/A7r would distract their attention into supporting two lens lines. Three lines if you also consider SLT Alpha. While full frame E mount lens will most likely support APS-C cameras, these lenses are even bigger making Sony’s APS-C mirrorless cameras less desirable. With the release of full frame mirrorless, what happens to the traditional SLT Alpha line? While they built innovative cameras, Sony never broke through the Canon/Nikon hegemony. Are the SLTs going to suffer a slow death? Are they still committed to releasing new lenses? Even the Cybershot RX1 was undercut to some extent with the A7. It doesn’t seem like Sony has a unified strategy. They package cameras in various configurations and see what sticks. The reality is, like any company, they’ll go with whatever sells. The SLT Alpha didn’t sell so they needed to do something else. Did they come up with full frame because the APS-C NEX line didn’t meet internal expectations? Unfortunately, as Sony customers, you might end up with a dead-end or under served product. Consider Fujifilm. They seem to better respect their customers. While there are calls for Fuji to also release a full frame camera, they clearly stated that they have no plans. Fuji needs to build out a complete line of APS-C X lenses — not doing so will just disenfranchise their loyal X customers. Hats off to Fuji for their commitment. Hopefully, Fuji will follow through on their promise and create even more lasting relationships. As for Sony, I wish them the best of luck. I’m still a Sony supporter at heart. I still buy Sony TVs, a PS3 and Blu-ray players. And though I don’t use my NEX-5 very often, I still look at their camera offerings with curiosity. I just hope that in Sony’s effort to find that magical, good selling camera, they don’t leave too many of their customers behind. It sounds like they have a bad case of corporate committees making decisions. Perhaps. Or different internal camera groups fighting it out for dominance. Either way, it presents a disjointed view to people outside Sony. I recently saw their announcement for the new Alpha 5000 and started thinking along the same lines as you. I’ve been using Sony cameras since they took over Minolta cameras and I do like their innovative approach. Quite reminiscent of Minolta back in the day. However your point is one well worth considering. Fragmenting a product line like this will not help their cause. I think the SLT cameras will disappear. I also have a gut feel that the E-mount will be the one they support long term with the A-mount eventually (over a long period) disappearing altogether. These days I never use more than two lenses so I don’t care much whether they offer a wide range of choices but I am concerned that without a decent market share they could give up on cameras or simply lose their way. Still, it seems rather confusing whenever I look at the Sony line-up. The Fujifilm and Olympus line-ups are far easier to understand. Cedric, thanks for your thoughts from a Sony user.